Oh no! 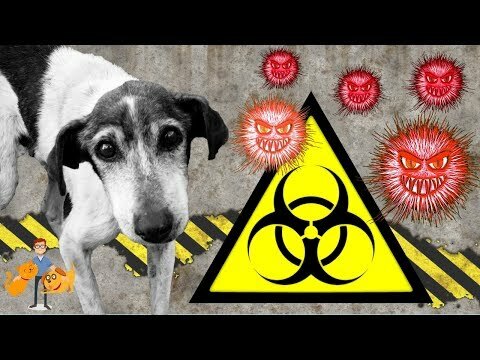 Your veterinarian has diagnosed your dog with an infection! They sent you home with a bottle of weird, sulfur-smelling capsules called Cephalexin. Should you give the pills to your dog? What are the Cephalexin side effects in dogs you should watch for? In this post, we will cover everything you need to know about cephalexin, and how to give it to your dog to minimize any bad side effects. The good news is that most dogs tolerate this medication with no problems! Chances are, your dog will come through this without having any nasty side effects. Cephalexin is a broad spectrum antibiotic. It is in the same family as the antibiotic penicillin. A broad spectrum antibiotic is one that can kill a lot of different kinds of bacteria. Cephalexin is a very commonly used antibiotic in veterinary medicine, because it kills many of the bugs that cause infections in dogs. Most dogs can take cephalexin without having any side effects, but some dogs are more sensitive, and some can even be allergic! If your dog has ever had a reaction to penicillin, be sure to talk with your veterinarian about whether Cephalexin is a good option for them. As you can see, of the Cephalexin side effects in dogs, the most common ones are related to having an upset stomach. Diarrhea is definitely the most reported side effect in my experience, but it usually only lasts a few days. Luckily, there are things you can do to make it less likely that your dog will have this problem! If there is any sign of facial swelling or trouble breathing, then go straight to the veterinarian or contact an emergency vet. This could be a sign of a more severe allergic reaction. This kind of reaction is very rare, but don’t mess around- get a veterinarian’s help right away! As mentioned above, the most common side effects of Cephalexin in dogs are related to an upset stomach. The easiest way to prevent stomach upset while using Cephalexin is to give the medication with or immediately after your dog eats a meal. Having a full belly of food with the medication will make it much more unlikely that there will be any gastric upset. This is made easier by the fact that Cephalexin is almost always given twice a day, 12 hours between doses. Try to give the meds as directed, with breakfast and dinner. If your dog only usually eats once a day, try splitting their meal into two smaller meals while they are taking the medication. If that isn’t working, or your dog refuses to eat meals they are not use to being offered, then try giving the medication in a “meatball” of wet food. Just having some food along with the medication should help lessen the impact on the belly. The most common form of cephalexin given to dogs is in capsules. While liquid and tablet options exist, they can be a lot more expensive and may not be appropriate for larger dogs. Most veterinary clinics stock 250mg and 500mg capsules. Your veterinarian will calculate the correct dose based on your dog’s weight. My 75 pound golden retriever (who often gets skin infections) usually takes three of the 500mg capsules twice a day for 10 days. If your veterinarian has prescribed capsules, it is better to give the entire capsule to your dog, rather than opening it up and mixing it with food. The taste of the medications isn’t very pleasant (it is kind of bitter), and your dog may refuse to eat the food, or not eat the entire dose. Talk to your veterinarian for advice if you are having problems giving the medication. It is important not to miss doses, and to give them 12 hours apart. Otherwise the infection could get worse. Should You Use a Probiotic? It use to be a common recommendation that you give your dog a probiotic whenever you were using an antibiotic. The theory was that this would help prevent the stomach upset that is so common with antibiotics. Some vets still recommend this practice. In my experience, probiotics don’t really prevent an upset stomach from antibiotics use. Giving the medication with food is much more likely to prevent tummy upset than using a probiotic. 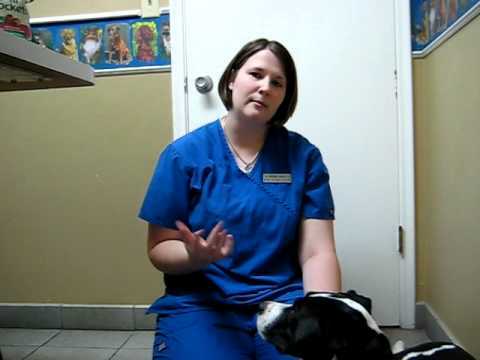 The YouTube video below offers tips on giving your dog medicine. Also, there is new research out in humans that indicates that taking probiotics after using antibiotics may actually prevent the intestinal bacteria from returning to normal. If you want to use a probiotic while giving your dog Cephalexin, then be sure to give the probiotic a few hours after the antibiotic. If you give them together, the antibiotic may just wipe out the probiotic in the stomach as they are digested together. Just a warning- Cephalexin has a strange odor. It is described as a sulfur-like smell by some. I always thought it smelled like a wet dog myself. Every time I opened a bottle and counted out a prescription, the wet dog analogy would strike me. So if you open your prescription and smell something funky, don’t worry! This is normal; there is nothing wrong with the medication. Cephalexin is a great option for a host of different kinds of infections. Since it is broad spectrum, veterinarians don’t have to know for sure exactly what kind of bacteria they are treating (saving you money). Skin infections, urinary tract infections and respiratory infections are all often treated using Cephalexin. If the infection doesn’t respond in a week or 10 days, your veterinarian may switch to a different antibiotic. They may also extend the course of treatment if the antibiotic is working, but the infection is still around. That’s why vets like to do follow-up rechecks when a dog is taking antibiotics. Sometimes, a dog doesn’t respond well to a medication. I have one dog who is very sensitive to another antibiotic. No matter what we do, she vomits within 30 minutes of getting it every single time. So that antibiotic isn’t a good option for her, and we have to use another when she is sick. If you are having problems with cephalexin side effects in dogs, then talk to your vet. There may be other options for you to try. Cefpodoxime is the name of another antibiotic that is used for many of the same infections as Cephalexin. It comes in tablets, and the dose for it is usually much lower than the Cephalexin. It is also only given once a day, rather than every 12 hours. This dosing schedule might work better for your family. Cefpodoxime is a lot more expensive, though. One reason that Cephalexin is so commonly prescribed is that is is one of the least expensive antibiotics. Cephalexin is a common antibiotic used in dogs. The side effects are often mild, and are usually just signs of an upset stomach. You can prevent this by giving the medication with a meal. If you run into any problems with giving cephalexin to your dog, contact your vet. Good luck! I hope your dog is back to full health soon!